239600 products found in Cupboards. 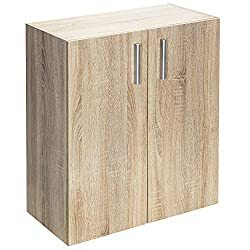 Your request for Cupboards revealed a total of 6239600 results. Product Features: Redstone beech laminated MDF sideboard - 3 doors + 2 drawers, Size: 100cm (w) x 34cm (l) x 83cm (h). Weight: 27kg. 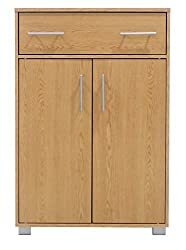 Supplied flat pack, 2 x drawers size: 27cm (w) x 29cm (l) x 8cm (h), Small door space: 32cm (w) x 30cm (l) x 50cm (h), Big doors space: 64cm (w) x 30cm (l) x 40cm (h) (space of each of 2 shelves), Includes one small cabinet from the Vela series. 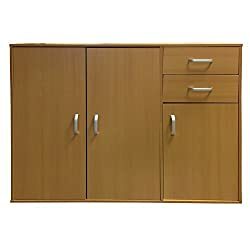 These cupboards fit into any room such as bedroom, office, kitchen, living room or kids rooms.